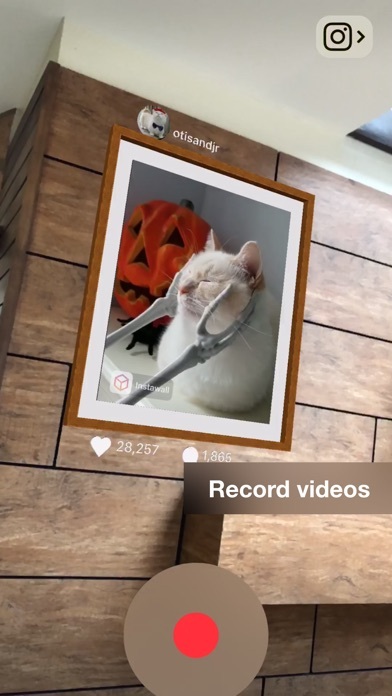 View and share your favorite Instagram photos & videos as real life pictures using Augmened Reality! 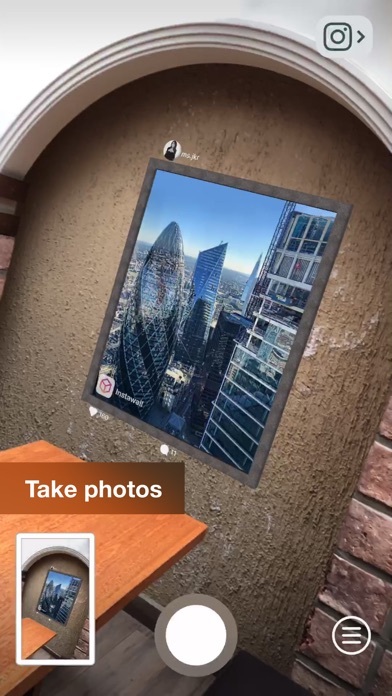 IGwall AR lets you display public Instagram posts (photos, videos, and carousel posts) in Augmented Reality (AR). You can select a cool frame for the post and choose what info about the post you'd like to display (number of likes and comments, username). 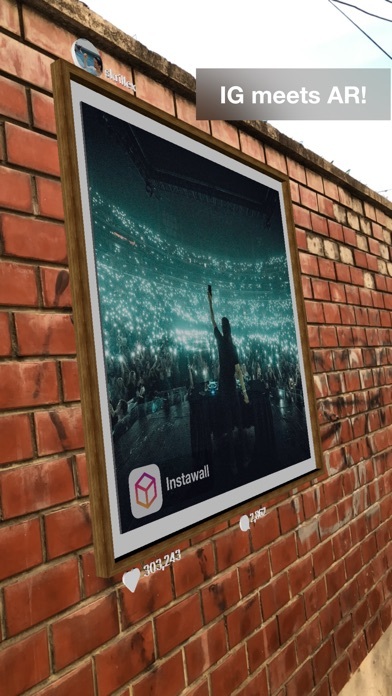 IGwall AR lets you take photos and record videos of the Instagram post in the AR environment and easily share them to your Instagram Story or elsewhere. 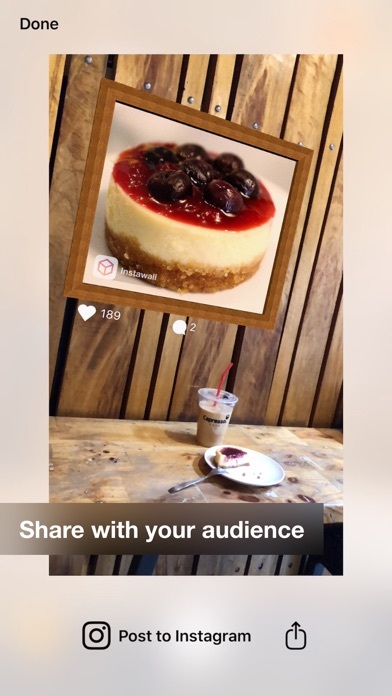 - Place an Instagram post on a vertical surface with texture. - Choose one of many cool frames. - Adjust the post’s size. - Capture photos and videos to share them on your Instagram Story or elsewhere. - Easily access the recent IG posts that you loaded to the app using the Recents menu. 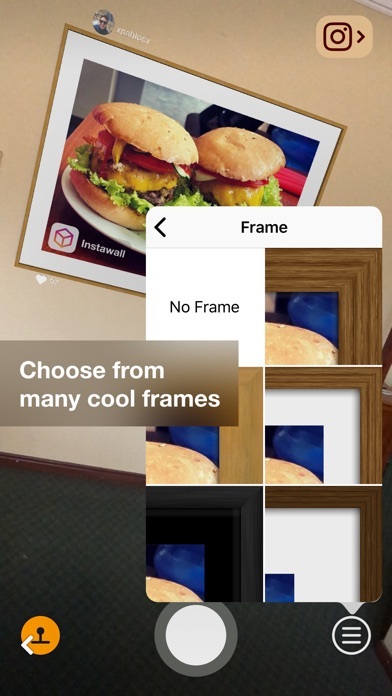 Get the PRO version to unlock ALL the frames to use on your AR posts and control all the info that is displayed about the IG post (likes & comments, username, app logo).